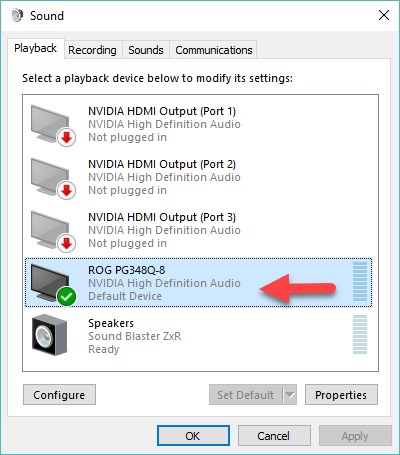 NVIDIA Home > Support Home Page > Knowledgebase Home Page > After updating the display drivers for my GeForce or Quadro GPU, I have lost audio coming out of PC. 2) Type "Control Panel" and open the Control Panel Desktop App which comes up as a search result. 3) In the Windows Control Panel, select Sound. 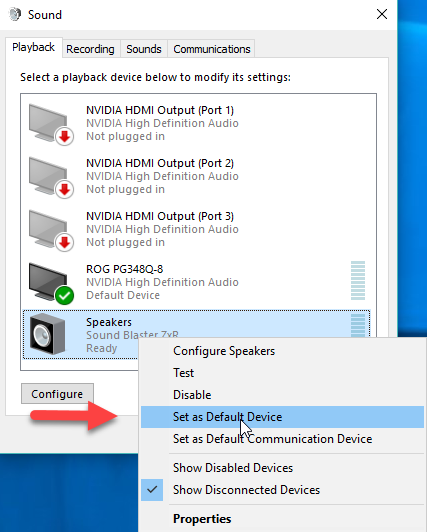 You will see a list of all audio devices installed on your PC. Find the audio output you wish to use and right-click over the selection. 5) Click OK to exit the sound properties.